H&H Lawn and Landscape provides professional lawn care maintenance and yard fertilization programs for businesses in Omaha, NE and the surrounding communities. 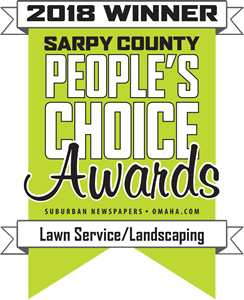 Our team of Omaha landscapers will customize a landscaping project or lawn care program to suit your business’ needs. It can range anywhere from weekly trimming and mowing to a complete grounds maintenance program for your Omaha business property. The landscaping and lawn care professionals at H&H will help to stay within your budget while providing you with an impeccable end result.